Mindfulness thinking and that ability to put distance between the problem you are solving once you feel stumped and can do not more. You might just do something totally unrelated to problem solving which you enjoy and relax. Then when you come back to the problem, since you have used your brain in a different way, and relaxed it a bit, you will solve the problem having just let it fester a bit. “Forcing your mind to take a step back is a tough thing to do. It seems counterintuitive to walk away from a problem that you want to solve. But in reality, the characteristic is not so remarkable either for Holmes or for individuals who are deep thinkers. The fact that it is remarkable for Watson (and that he self-admittedly lacks the skill) goes a long way to explaining why he so often fails when Holmes succeeds. Shane Parrish writes on a number of interesting subjects and blogs every day. 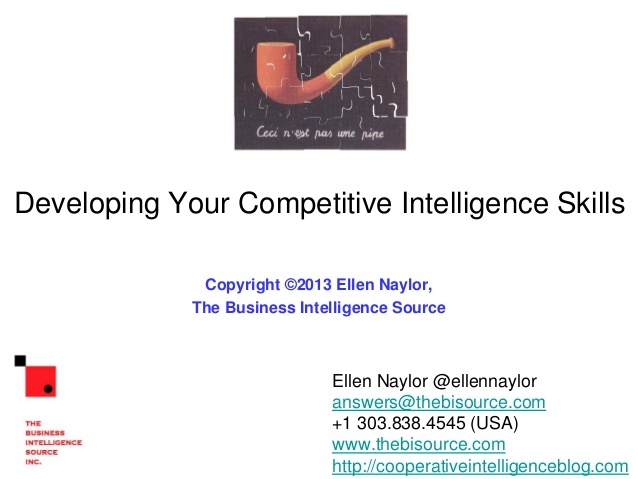 I found this one to be particularly relevant to competitive intelligence professionals. In a range of profiles of mayors from Asia, Africa, Europe and The Americas, City Mayors’ editors and freelance writers examine what makes an outstanding mayor. They also ask city leaders which of their policies and actions have been particularly successful and could be emulated by other cities. This is a good intelligence source for very regional information. Take note, researchers.